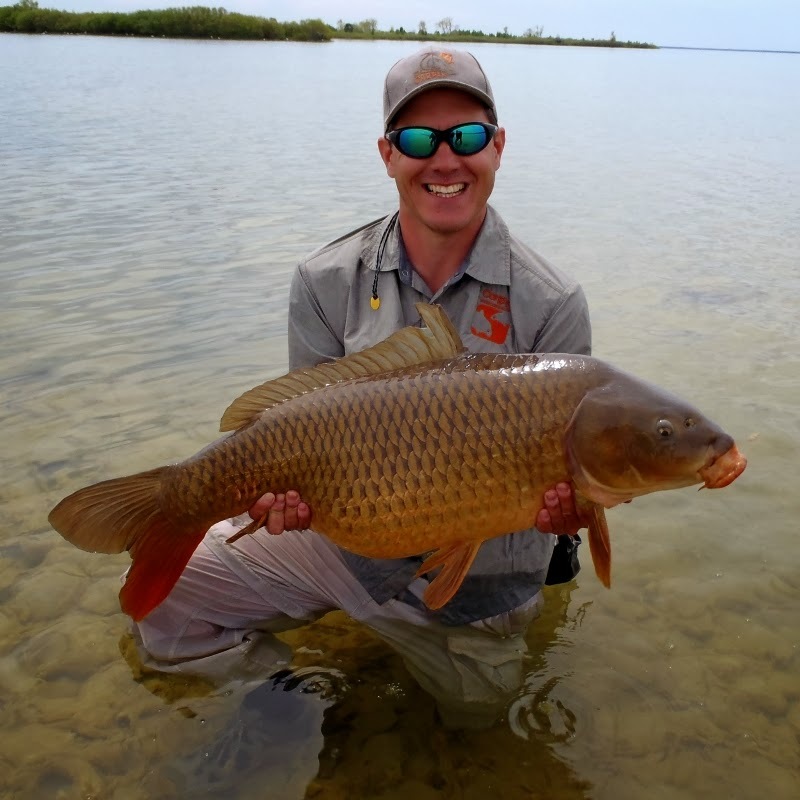 This is the final in a five part series of interviews exploring the relationship between fly fishing for carp and the industry. This interview features Bruce Olson, New Fly Manager at UMPQUA Feather Merchants and was performed as a free-form interview over the phone. A summary of all the interviews with commentary is also available in the recent CarpPro Fly Fishing For Carp Special. 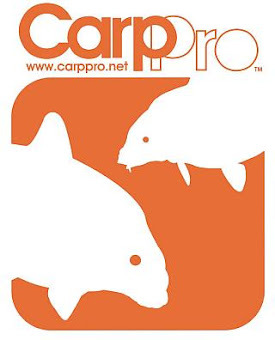 Fly-Carpin: I would like to talk about what products you currently have available. 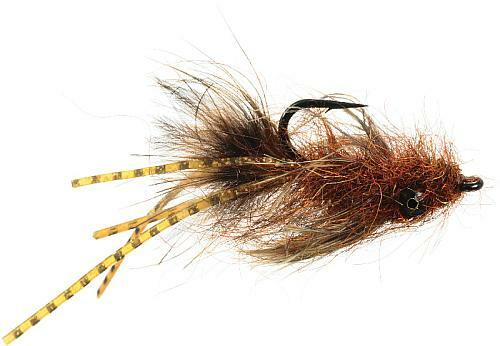 Bruce Olson (UMPQUA): As a matter of fact we have close to three pages in our catalog devoted to flies for carp, and I noticed on your blog that you are familiar with Jay Zimmerman’s Fly (Backstabber), and you know we also have Egan’s Headstand out there. 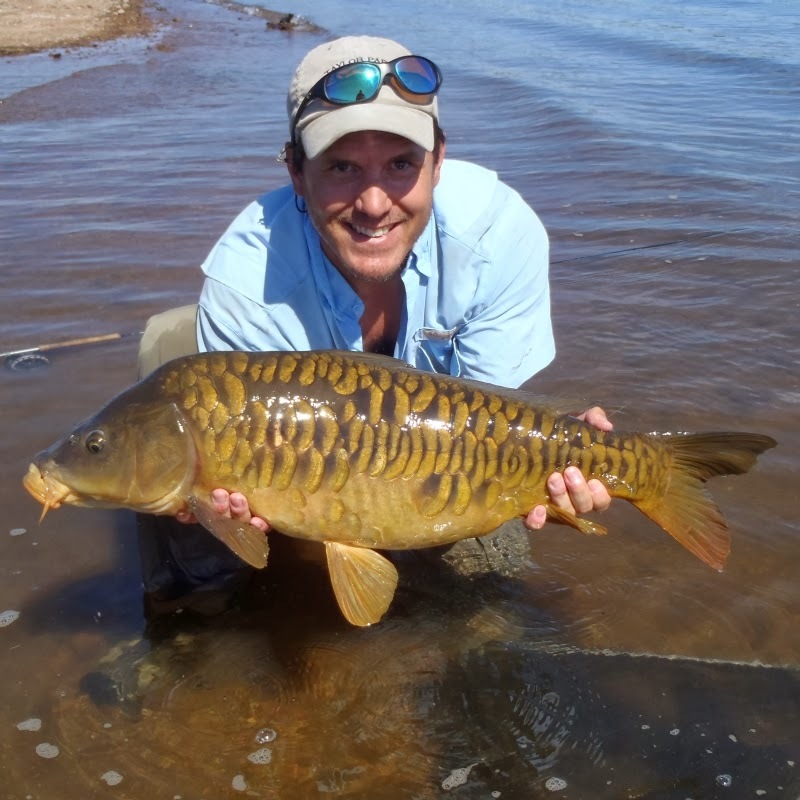 I think I would have to say, I have no absolute numbers at my fingertips, but that among all species that we fly fish for these days carp is the fastest growing and explosive. Fly-Carpin: Sometimes I wonder if 100 or 1000% growth in a tiny segment is tiny and if the industry feels like it is worth their while. The fly companies seem to be leading the charge; do the fly companies feel new trends before other segments of the industry? Bruce Olson (UMPQUA): Well, we try to stay right on the cutting edge of course and well, you know carp are everywhere. Gosh it’s been 16 years since Dave Whitlock basically said sight-fishing for carp in Lake Michigan is the best most fun fly fishing he has ever done. That’s Dave Whitlock. 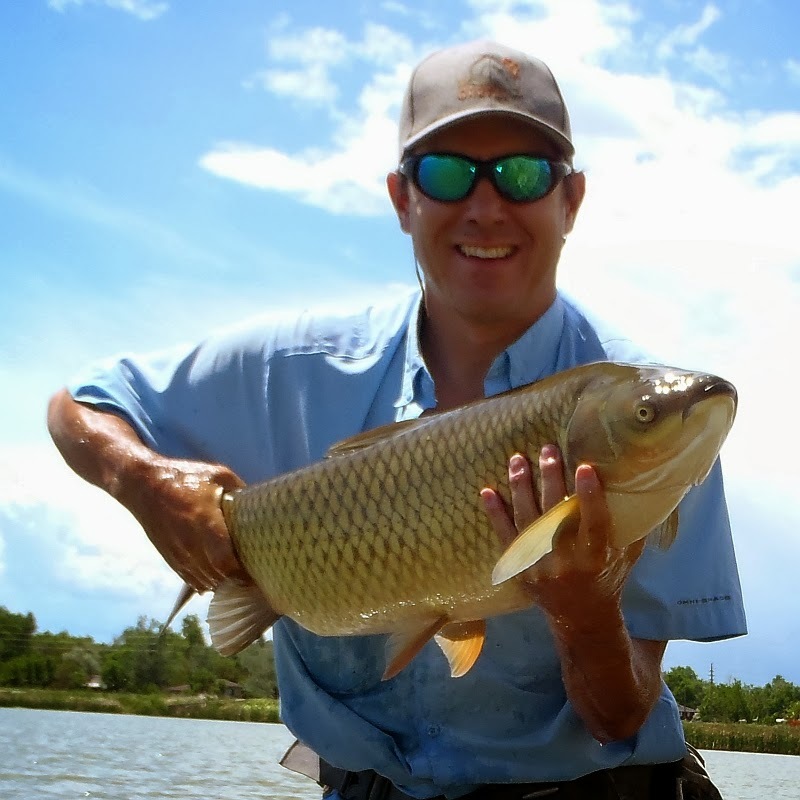 When you are talking about Jay Zimmerman and you get post runoff in the mountains he’s still more likely to be down here on the Front Range fly fishing for carp or pike. Pike is another one that is growing but they are not found in as many places, you can chase carp in Arizona, California, and the Kentucky River down just below (indecipherable), they are pounding that for carp. Barry “Carp” Reynolds here in Colorado, he pounds the Platte River all the time. You know they are everywhere. Every year, I would say for the past four years, we have added one or two or three new carp flies. When we first came out with our carp section, all we had to put in it was some trout flies that we knew would carry over for carp and some bonefish flies. Now, it’s not like we have a huge carp offering but now we have 31 different flies that we recommend for carp. Fly-Carpin: I imagine there are a couple dozen more in your catalog that would work in a pinch at least. Bruce Olson (UMPQUA): Oh, far more than that, yes. Because carp feed on so many different things. If you are fishing the reservoirs of Montana at certain times of year you had better have a cotton wood seed fly. Carp will take on the surface they will take off the bottom. They eat everything. Let’s face it, if you have the option of fishing a 7 weight rod, who is going to give you the bigger tussle, a 10lb carp or a 12inch rainbow? Fly-Carpin: You have got allot of carp flies, does your carp fly line-up sell well? Bruce Olson (UMPQUA): Absolutely. Otherwise I wouldn’t have mentioned that we are going to keep adding carp flies. We sell allot of them. But then again, allot of flies for carp also cross over into other fisheries. One of our bestselling flies for carp is Mike Mercer’s Micro crayfish, and yet I bet for every one that is purchased to fish for carp, probably up to 50 or so are for trout or smallmouth. See smallmouth is the latest prior to carp explosive fishery. I mean, smallmouth has gone just great guns. But then again smallmouth are even more (could not transcribe) than carp are. 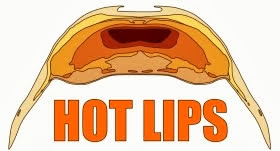 Especially since they react like Trout in rivers and like bass are expected to act in lakes. You can feed them all kinds of stuff. That is why we don’t have a smallmouth section, just a general bass section. We would have to put half our trout flies in that section. Fly-Carpin: So you guys have a pretty good selection of carp flies already. Are you going to keep on adding? Bruce Olson (UMPQUA): No, No we are going to keep on adding. In fact next catalog that comes out next summer we are going to add more carp flies. A couple every year. Fly-Carpin: Are you adding Barry Reynolds new fly? Bruce Olson (UMPQUA): We have Barry’s [Reynolds] carp fly we added two years ago and in this catalog we added three colors of the fly called the carp bitters. He is serious about his carp fishing. Fly-Carpin: Do you participate in any activities? I know for example in the past you have supported Carp Slam right? Bruce Olson (UMPQUA): Yes, we mostly supported them with prizes. You know, it’s hard to give out flies to everybody. . We also supported the carp throw-down in southern California. Sponsored by Conway Bowman and Al Quattrocchi. Yeah we supported that pretty heavily because of our relationship with them. 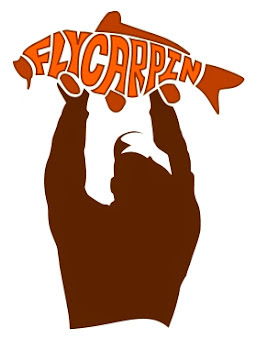 Fly-Carpin: Are any of your marketing guys, product guys or executives into fly fishing for carp. Have they tried it? Bruce Olson (UMPQUA): All of them. All of us. Our President and our sales manager last summer were either going out before coming to work or after work. 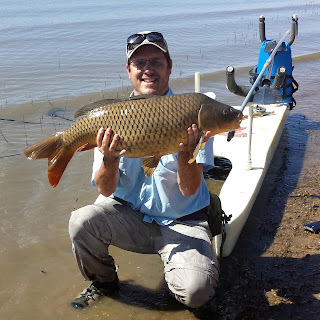 Our fly products specialist, he fishes with Jay Zimmerman and John Barr allot and he fishes for carp allot. There are just so many opportunities on the Front Range. I know of ten guys who work with us who fly fish for carp at some time or another. Fly-Carpin: In the discussions I have had so far I have been surprised at the positive response [to the question above]. There seems to be a trend with guides where trout guides really want to fly fish for carp in their off-time. It seems like that might be an industry wide trend? Bruce Olson (UMPQUA): I think it depends. If you are one of the guides up at Taylor Creek in Basalt you’re probably not going to go out fly fishing for carp. If you have free time I know for a fact these guys are trout junkies and they are going to be pounding the roaring fork and frying pan but if there are carp available, yeah lots of shop personnel and fly fishing guides are branching out into carp. It’s something different. I am going to take a quick count here. I know of 10 guys who work with us who fly fish for carp at some time or another. 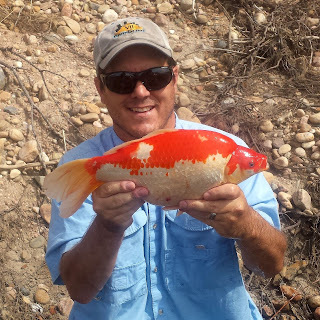 Fly-Carpin: I almost wonder if the actual doing of fly fishing for carp is moving faster in the industry than in the general populace. One guy mentioned that carp might tend to be an advanced species. Bruce Olson (UMPQUA): See years ago I think people thought “they’re warm water trash fish, they’re kind of ugly and what is so hard about carp?” Well, try and catch one pal. They’re not easy. You don’t just walk up to a pond, and see a bunch of carp swimming and hook 'em hand over fist. You have got to use stealth and all kinds of still-water skills, and you know they will spook in a flash. I just know that every magazine now is coming out with articles on fishing for carp. It’s happening. And people are guiding for carp. Henry Cowen in Atlanta guides (…) part of the year for spotted bass and stripers and then when it gets real warm they wade and sight fishing for carp with his clients. It’s taking off. The fish have been discovered and they’ve been affirmed as not just something different but a prize to seek out. And they’re strong as hell. Flies especially for those who don't tie. This is good. That is what I am saying. If the revolution wants to take a step forward it doesn't work if you have to tie your own flies to participate. Excellent. This interview series was great. Thanks Ty. I do think it turned out pretty good.